systems, or on some key buses. The cases are based on a practi c a l power system and its interconnected systems. will inevitably lead to the high capacity power delivery. transmission lines with high capacity power sending. a practical power grid with high capacity power delivery. same time to get Equation (2). fault are shown in the Figure 2[ 5, 6]. while at most the collapse of the whole system. Figure 1. 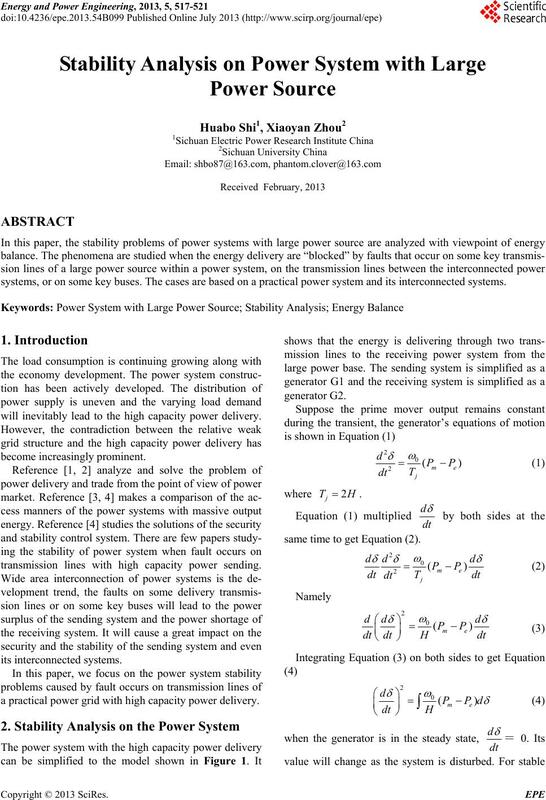 The power system with large-scale output power. The system P-V character is shown in Figure 4. Figure 2. Pe-δ curve when fault occurs. Figure 3. 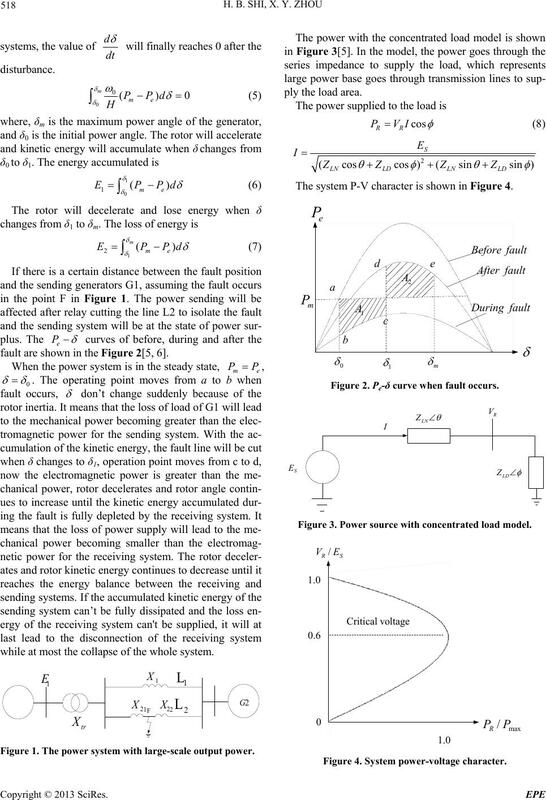 Power source with concentrated load model. Figure 4. System power-voltage character. the destruction of system stability. nects with system 5 through a UHV line. transmitted form system 5 to the system 3 is 5000 MW. The structure of the system 1 is shown in the Figure 6.
dies will be analyzed in the Figure 5 belo w.
Figure 6. 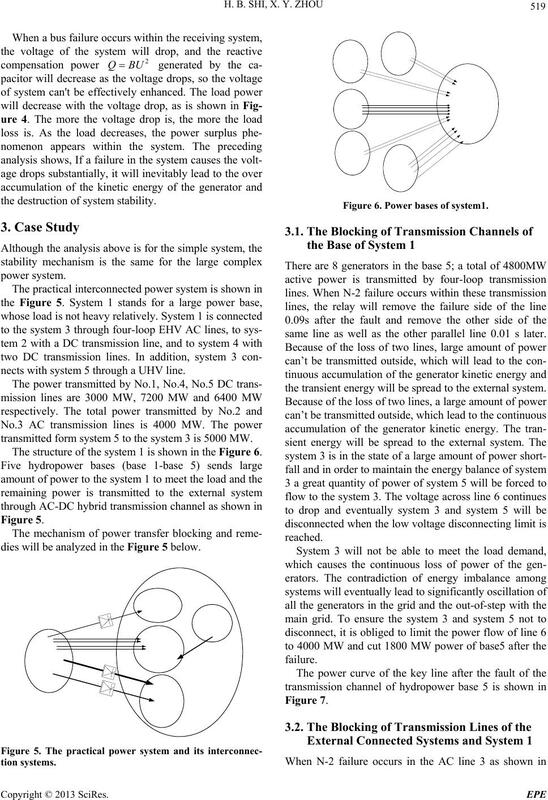 Power bases of system1. same line as well as the other parallel line 0.01 s later. the transient energy will be spread to the external system. the failure and the system be stable. Figure 9. 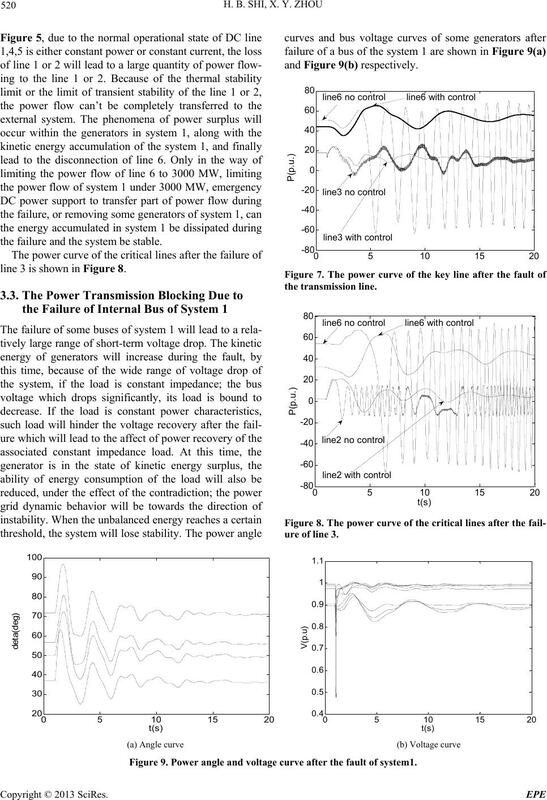 Power angle and voltage curve after the fault of system1. and the operation mode of its connected power systems. 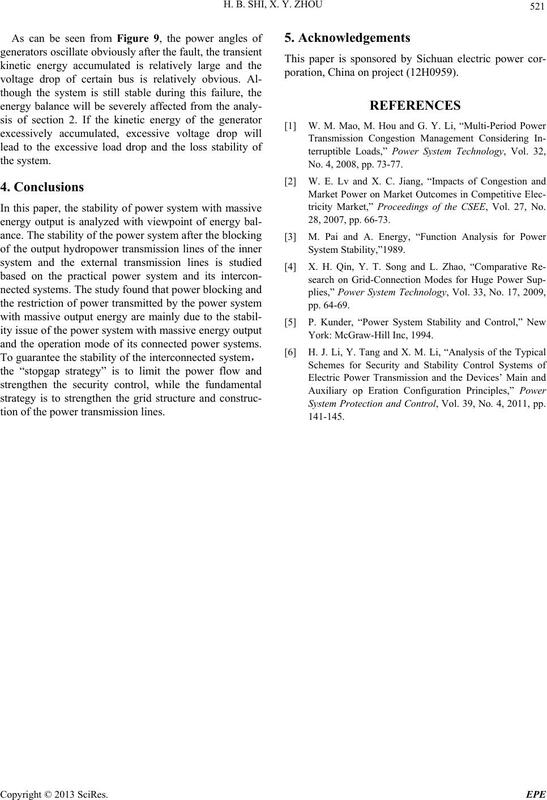 tion of the power transmission lines. poration, China on project (12H0959). No. 4, 2008, pp. 73-77.
tricity Market,” Proceedings of the CSEE, Vol. 27, No. System Protection and Control, Vol. 39, No. 4, 2011, pp.